The government of the Sovereign Order of Malta has a similar structure to state governments. However, it also includes specific features associated with its nature as a lay religious order, as well as particular terminology evolved from nine centuries of history.The head of the Order of Malta is the Grand Master who governs both as sovereign and as religious superior, and is assisted by the Sovereign Council, which he chairs. From 28 January 2017, following the resignation of Fra’ Matthew Festing from the office of Grand Master, the Sovereign Order of Malta is governed by a Lieutenant ad interim in the person of H.E. Fra’ Ludwig Hoffmann von Rumerstein. He will stay in office until the election of a new Grand Master. The Sovereign Council is elected for a term of five years and is made up of the Grand Commander (the religious superior of the Order’s religious members); Grand Chancellor (Minister for Foreign Affairs and Minister of the Interior); Grand Hospitaller (Minister for Humanitarian Affairs & International Cooperation); Receiver of the Common Treasure (Minister of Finance), together with six other members, all elected by the Chapter General. Although these titles reflect centuries of tradition they are also roles consistent with 21st century needs. 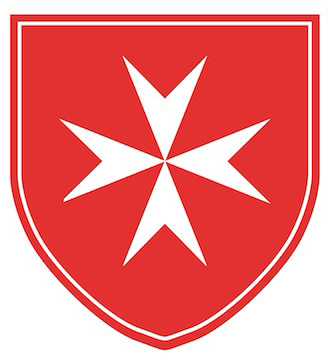 In its unique nature as sovereign and humanitarian institution the Order of Malta, led by its government, continuously intervenes in new areas, responding to requests for humanitarian aid. Through its diplomatic missions, the Sovereign Order’s government works towards the establishment of new cooperation agreements with other states in the healthcare and humanitarian field. The Order of Malta’s system of governance is divided into three powers: legislative power rests with the Grand Master and Sovereign Council for non-constitutional matters; with the Chapter General – a representative body of members – as far as constitutional rules are concerned, executive power, which resides with the Sovereign Council; and judicial power, which is in the hands of the Courts of the Order.